It’s the time of the year again. Have you done your Christmas shopping? There are many latest deals, great bargains, special gifts online for that special someone. If you are eyeing a laptop as a Christmas gift, perhaps the long awaited tablet PC, Latitude XT Convertible Laptop by Dell, is your option. According to the document in a compressed training manual on Dell’s Web Site, the new laptop, loaded with the latest storage, networking and display features, was declared ready-to-ship on Dec. 3 in the U.S. You probably might grab the first batch of the new laptop to be your Christmas gift to yourself or someone special. 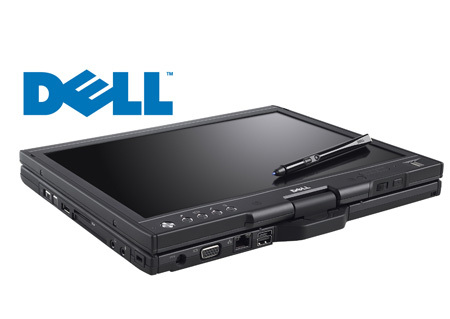 The Dell’s Latitude XT Convertible Laptop is the latest high-tech laptop available in the market. The new and unique convertible tablet PC features a 12.1-inch display which can be flipped to convert the laptop to a Tablet PC and has multi-touch support. The Latitude XT Convertible Laptop is powered by Intel Core 2 Duo Ultra Low Voltage 1.2Ghz chip and it delivers remarkable accuracy and fantastic speed. The laptop also provides an alternative for users to select either a regular LCD (liquid crystal display) or an LED (light emitting diode) display. Of course the laptop comes equipped with WiMax Capabilities, Bluetooth support and the system also has a Gigabit Ethernet controller. In termsof hardware, the Dell Latitude XT Convertible Laptop comes with 1G byte of DDR2 on-board memory and has memory modules supporting up to 2G bytes of DDR2 RAM. In addition to a hard drive, users will have the option to add a 32G-byte or 64G-byte solid-state storage drive. The latest generation laptop by Dell is dubbed suitable for those in education, health care and corporate services industries. But more importantly, it makes the ideal Christmas gift for someone who has a taste for cool electronic gadgets. The potential Christmas gift costs you around $2,500.